AIA Huron Valley - Frank Lloyd Wright Experts Convene at Domino’s Farms! 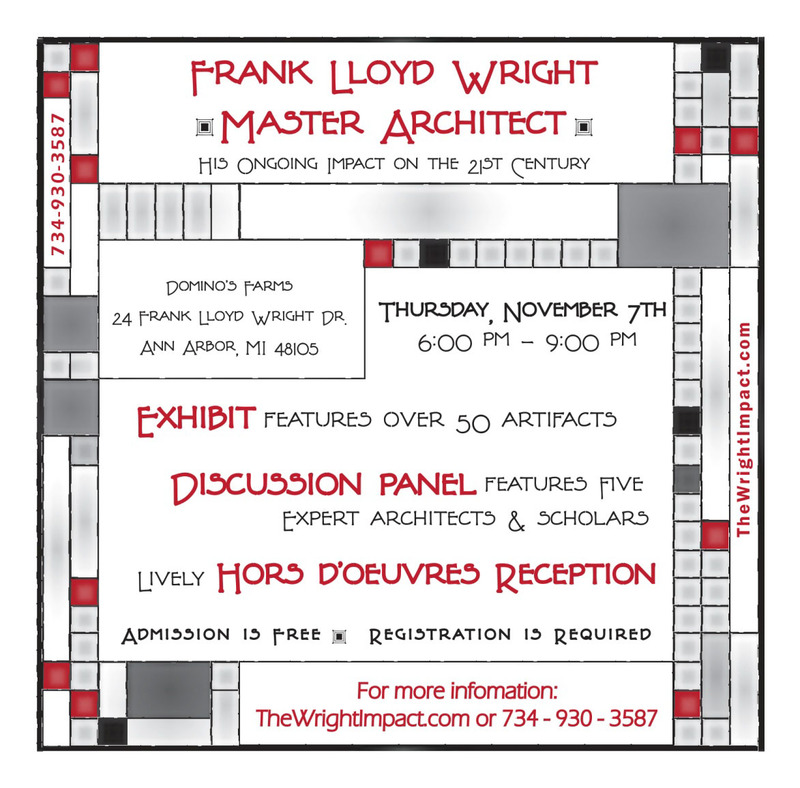 Frank Lloyd Wright Experts Convene at Domino’s Farms! October 31 at www.thewrigtimpact.com or 734-930-3587. Enter Lobby H, go to lower level, follow signs!